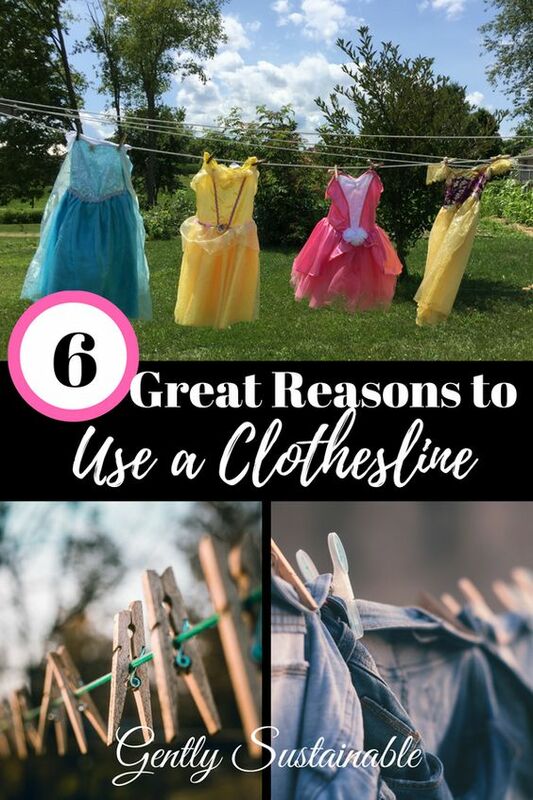 The clothesline is one of the world’s best inventions, and there are at least “6 Reasons You Should be Using a Clothesline”! So simple….a line and a pole. So dependable….the sun comes up pretty much everyday. So effective….I mean air always dries your clothes! No wonder it’s been used for thousands of years by so many civilizations! Until the 1950’s, everyone used “solar dryers”, but even when electric dryers hit the market in the 1950’s, the cost prohibitive at $200! That equates out to $2,046.03 in today’s dollars! Many families stuck with the “tried and true” clothesline! 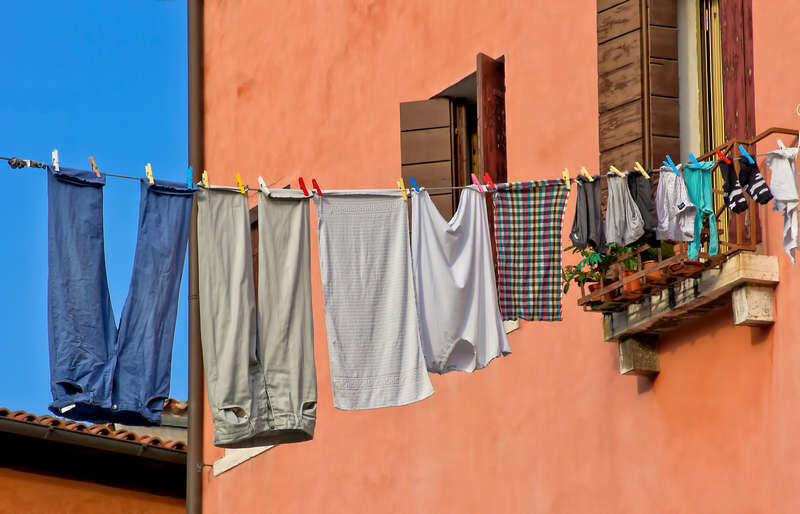 Not only that, the humble clothesline comes in many forms to suite your needs, whether you live in the country, suburb or city. 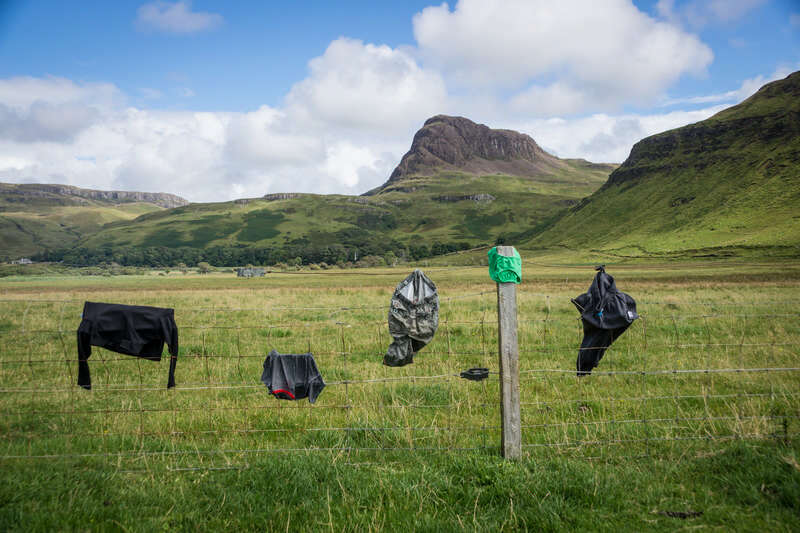 There are even clotheslines and drying racks for the indoors, how fabulous is that? Personally, I have the “warm weather” system and my “cold weather” system. In the summer, I use my outdoors clothesline all the time, like everyday that it isn’t raining! My teenagers know that they need to get their laundry out on that line as well! have wire racks in my small laundry room that I hang as much as possible on hangers to dry. I also have a drying rack that I hang smaller items and sweaters on. I use the dryer from time to time, especially during long periods of cold and ice, but let me tell you, the first day I see where it’s dry and above 45 degrees or so, I’m out there hanging up clothes and blankets! Then I’ll bring them in and toast them up in the dryer! I’ve seriously considered purchasing a retractable clothesline something like this one to drape across the garage or inside another out-building for use in the winter. Still not convinced? Here are 6 reasons to get you thinking about incorporating this into your sustainable household! You realize that all that lint in your dryer’s trap is really your clothing, right? Dryers are very hard on clothes and since we try to buy better quality clothing, and less clothing overall, I want these items to last! You could make the argument that the sun fades clothing, however, with normal drying time I haven’t had a problem. Anytime you can get outside to do a little exercise, that’s a good thing! I love the few minutes it takes to hang a load of laundry out, the sun hits my face and fresh air fills my lungs. It’s a gentle form of exercise that most can do, as long as you don’t overload your basket. To be honest, if hanging clothes out actually cost money, I would pay to do it. Why? The smell of laundry that has been hung outside to dry is unmatched. No other smell like it! I sleep like a baby on sheets that have that outdoor smell! If you are trying to bring your electric bill under control, minimizing use of a heat-producing appliance will certainly help! Taking advantage of natural resources that provide sun and air to complete a task for me, for FREE, is just the most awesome thing. I mean, why not??? If you ever drive through an Amish community, you’ll see laundry hung out to dry in every yard. It’s just a beautiful site, so natural, so nostalgic. Doesn’t it just make you feel warm inside? If you’re married to someone who is handy, or are handy yourself, you can certainly build one from scratch. But if that’s not the case, or you can’t find the time, purchasing “solar clothes dryers” will certainly be worth the investment on many levels. Interested in making your own detergent and pre-treat for just pennies compared to what’s at the store? Check it out here! What I have concerns about is when clotheslines were popular in the 50’s and before, there weren’t so many cars operating constantly. I live on a relatively busy country road with tons of DUST! I worry that the dust will be ‘blown’ into the fabric and that I’ll have issues with ‘dirty’ clothes after washing them! I use a well, so re-washing after drying isn’t practical nor do I want to do that. Sure, shaking the clothing out after drying is an idea, but what if the dust actually gets INTO the wet clothing? There is really nowhere on my property that doesn’t get dust as I live on a corner. How do you suggest I get past this issue? Thank you for the article! I keep reading posts about clotheslines, hoping I can get past the dust thing and actually do it! FYI: I’m an older reader, and the VERY tiny italic font plus the very light gray makes it really hard to read what I wrote….suggest you make a few minor changes for those older people reading here. Thanks! Hi Carol! I’ve heard about other people with the same “dust” problem and to be honest, I’m not sure what can be done about that. Sadly, none of us can do everything we would like to do. Unless you have one side of the house that gets less dust, but still, probably not going to be worth the extra work and water consumption. You might think about an indoor line, I’ve got some links up there to check out. Thank you for pointing out about the font. This is a template, some things can be changed and others can’t, but I’ll check with my web gal and see what can be done! Thanks so much for reading, Carol! I grew up on a farm on a gravel road near Amish. You put your clothesline in the back yard and in a location that os blocked by the house, garage, maybe a barn. Trees in the front yard, also stop help stop gravel dust. There is nothing like the smell of clothes dried on the line! Thanks for sharing this with us at the Homestead Blog Hop! On a side note, our soon to be daughter in law was out to see us a few months ago and was telling us that her subdivision had just passed an ordinance prohibiting clotheslines, even in the backyard. What a shame! Hi Ann! Yes, I love the smell of laundry on the line! It’s true that many HOA’s are banning clotheslines, but you never know if enough people complain about it, maybe something would change! If you wanna be ornery, set up a tent frame or lean a ladder against the house (or something similar) and use THAT as your clothesline. Since it’s not technically a “clothesline”, it can’t be illegal, right?